It’s time for this week’s Eviction and Head of Household competition. If you want to watch the fallout of the live eviction you have to turn on your Big Brother Live Feeds. If you don’t already have the feeds, you need start your free trial so you can watch the houseguests 24/7 and see the action as it happens. Rule clarification: HGs have been randomly paired up. The winning pair must decide which person among them will become HOH. 7:20 BBT – Aaryn is chosen as the new Head of Household. 7:02 BBT – Jeremy/Aaryn retrieved their ball first. 7:01 BBT – Andy and Elissa are extremely close. Andy can touch the ball. 6:51 BBT – Judd/Nick are using the big scoop and are catching up quickly. 6:41 BBT – Howard took a nasty fall. Houseguests asking if he is okay. 6:39 BBT – Judd/Nick, Kaitlyn/Amanda, and Andy/Elissa round out the top three. 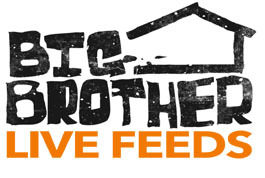 6:35 BBT – Live feeds are back. Andy and Elissa seem to be in the lead. 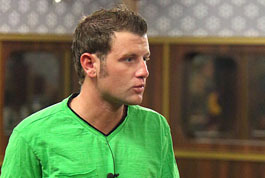 5:30 BBT – David was evicted by a vote of 7-5.